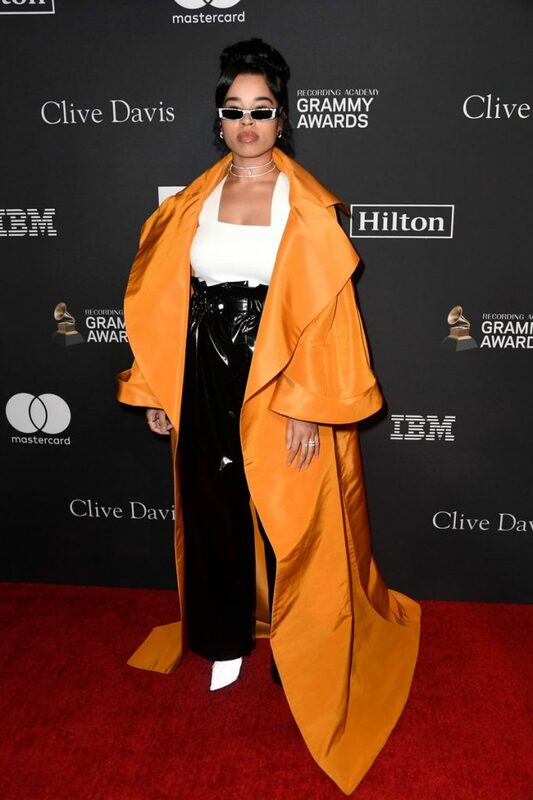 Clive Davis’ 2019 Pre-GRAMMY Gala on Saturday (February 9) in Beverly Hills, California. Ellie Goulding in an Erdem suit and Dua Lipa in a blue bow strapless dress. 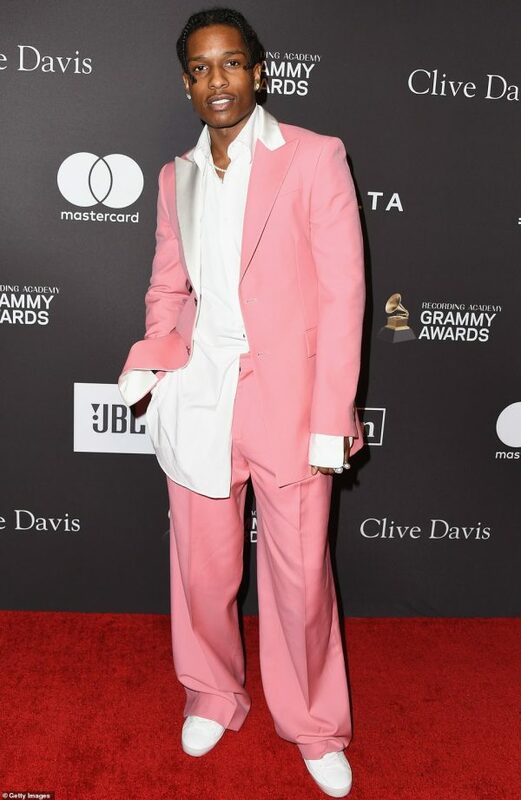 ASAP Rocky in a pink Loewe Fall 2019 suit. 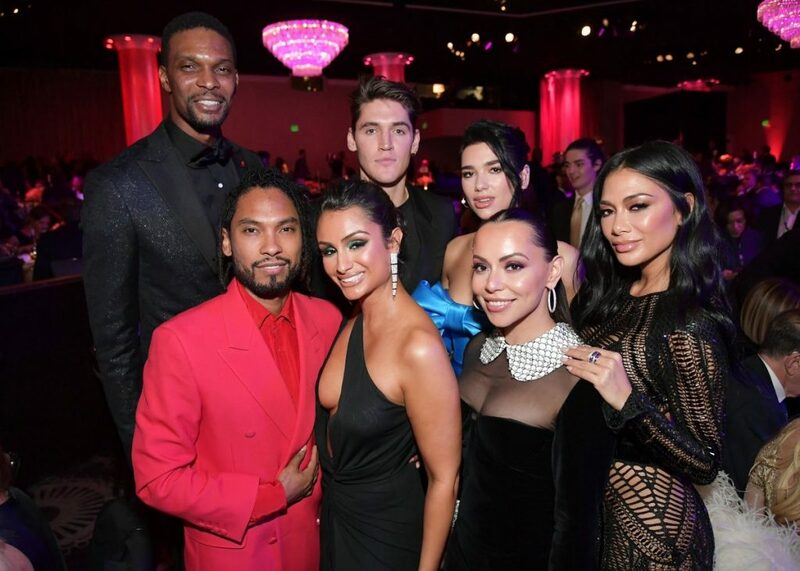 Dua Lipa and Bebe Rexhain August Getty Atelier Spring 2019 styled with a Hearts On Fire necklace.